Season’s Greetings all! I can’t believe that 2017 is coming to a close, what a journey it’s been. While I am nowhere near exhausting my stockpile of beauty knick knacks, I found some time to write a review on the Secretkey Face Coating Angel Cushion in #23 Dark Angel. I’ve had this sitting in my stash for a while, so I’m not too sure if this particular item is still available in the market. With my recent infatuation with Secretkey’s miracle fit concealer, I had pretty high expectations for the cushion in terms of coverage. Now, I’m not sure if this cushion is the same as the Tattoo Cover Cushion (although I want to say it is), neither do I know if refills under the same brand fit universally across pacts. Happy Monday! No monday blues today, because I popped open a new item for review! This is the LINE messenger app’s collaboration with Missha, and there is a whole range of products featuring the various LINE mascots. 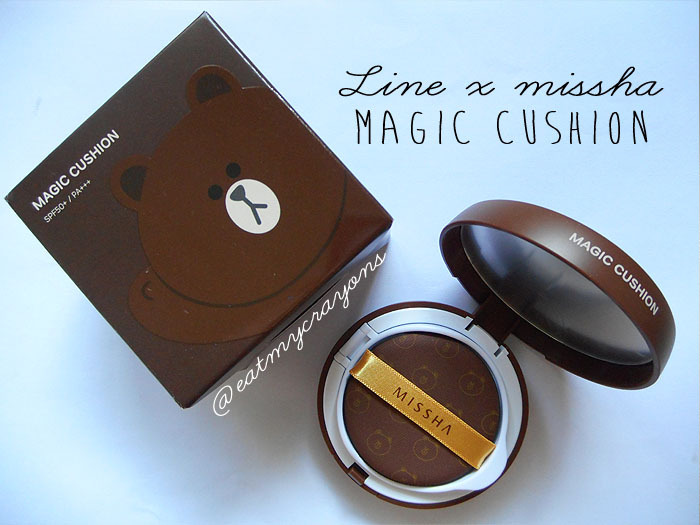 I purchased a Brown bear BB cushion from Qoo10, in shade #23 for review purposes. There is a lighter shade number #21. There is something about mascot products that allure me, but logical self always reminds me this is all a packaging gimmick. Thankfully I had the resolve to just buy one item, else I would probably carted out a ton of stuff. Happy Lunar New Year to my fellow Asians! Today marks the second day of the festivities and I’m finally home after a day’s worth of house visiting and binge eating. 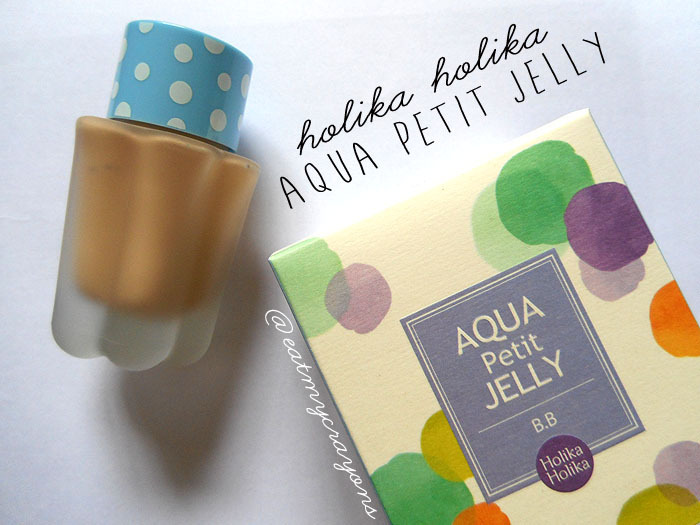 Here is where today’s review comes into play, where I’ll be sharing my thoughts on the Holika Holika Aqua Petit Jelly BB Cream – which I have been using for a little while now. I passed by Sephora the other day and caused a dent in my wallet. 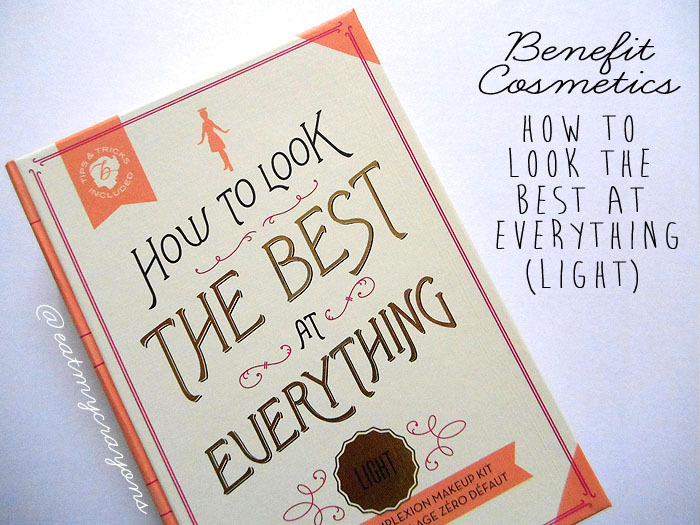 Specifically speaking, I suckered for the Benefit Cosmetics How to Look the best at Everything kit, frankly because.. 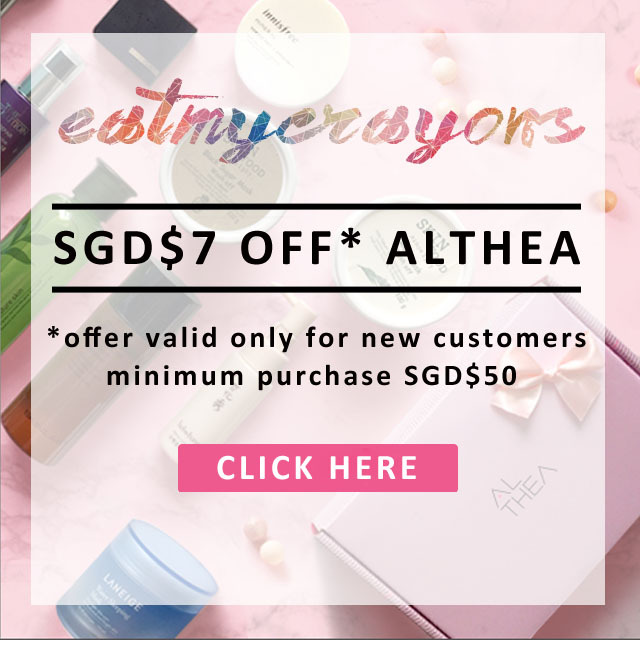 I don’t own the Hello Flawless foundation 😦 I’ve heard so many raving reviews about this product but stingy me was unwilling to splash a cool SGD$60 on the full sized item without first trying it. So, this was the best alternative. This kit comes in 4 shades, fair, light, medium, dark but I had a tough time deciding on Light and Medium as my skintone is somewhere in the middle. 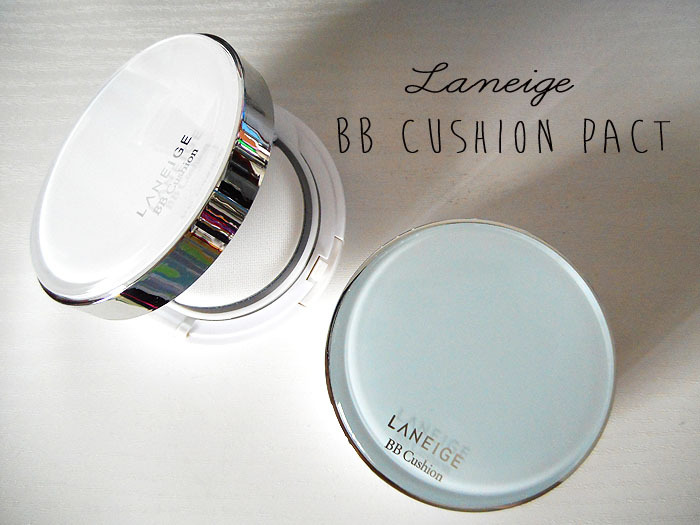 Today’s post is on the Laneige BB Cushion Pact. We’ve been having horrendously fluctuating weather recently, I’m talking superbly scorching hot one moment and then thundery showers the next. I finished up my previous foundation, and decided to open up the BB cushions and see how they fared against our humid climate here. I know there’s tonnes of raving reviews in the blogosphere, one more review won’t hurt.. right?